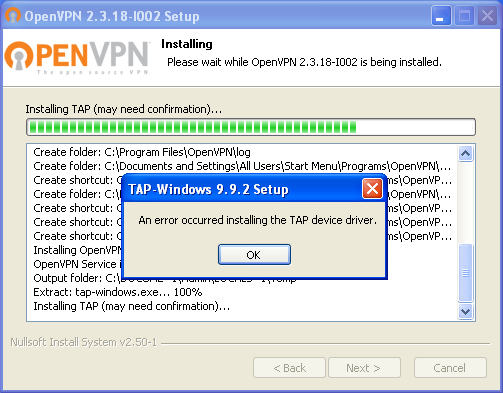 Although this article mainly targets OpenVPN TAP driver installation issue, The problem is likely not limited to that specific driver. You may want to continue reading and give the very easy solution at the end of the article a try. 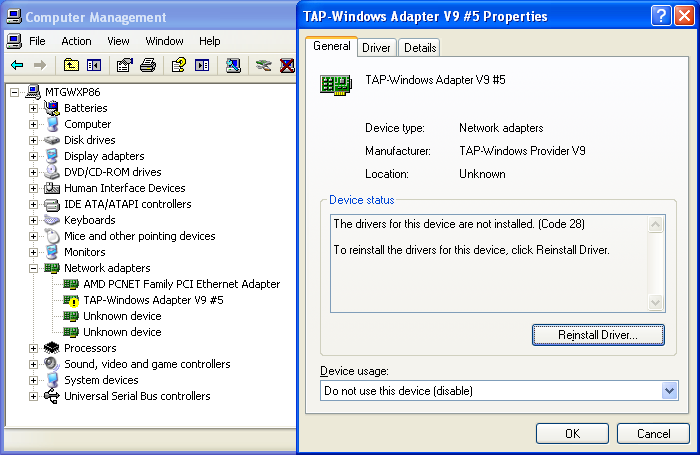 In Windows XP, to install its inf file, TAP driver installation uses the built-in Windows Device Console (Devcon.exe). Pretty simple stuff, you just use devcon.exe with the install argument, supply the inf file and then provide the device’s Hardware ID. #E122 Device install failed. 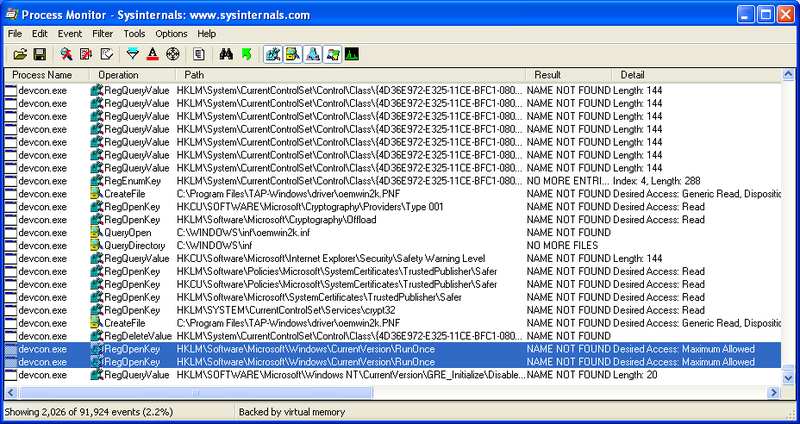 Error 2: The system cannot find the file specified. #I125 Installing NULL driver for “ROOT\NET\0000”. Now that’s our first clue. There seems to be a file missing somewhere. So after ensuring it’s not an obvious one (like a .sys file required by the inf), I was getting prepared to go deeper to debug the issue. Luckily, turned out DaveBurnett had already done that and has shared his findings. I thank him for this as he’s possibly saved me couple of hours of struggle. As it’s been mentioned in that post, if RunOnce key is missing in the registry (Which could easily happen by a program with a not a very well tested uninstall system), for some unknown reason devcon.exe dislikes it. So much in fact that it decides to leave the installation in half-state and complain about a missing “specified” “file”. Almost right before failing, you can see the failed accesses to the RunOnce key. Then just right-click on each and uninstall them. error, don’t worry. 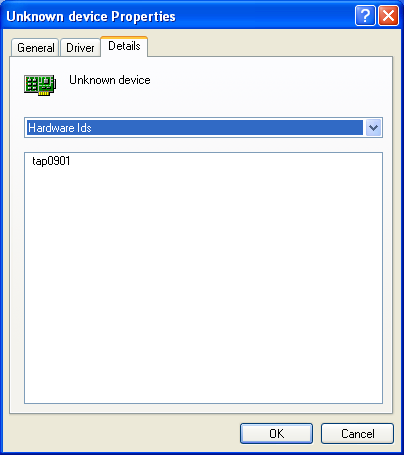 It should sort itself out after installing the TAP driver.